The appeal of Geoff Johns's Green Lantern stories is that -- despite a number of misses, including War of the Green Lanterns and the New 52 debut volume, Sinestro -- when the series works, it really works. Green Lantern: Revenge of the Black Hand scores in a number of ways, from plotting to the pitch-perfect interplay between Green Lantern Hal Jordan and Sinestro, to a handful of excellent callbacks to the series' best moments. The second volume and twelfth issue of the New 52 Green Lantern is an awkward time for an anniversary, but this is how Revenge of the Black Hand reads, like an anniversary issue. Revenge encompasses two storylines, the four-part "Secret of the Indigo Tribe" and the three-part "Revenge of the Black Hand." Johns has been teasing the "secret origin" of the Indigo Tribe for over thirty issues and almost five years, so this story is much-anticipated and welcome. There's a good amount of the Indigo Tribe's origin that the reader could by this point surmise -- that the Indigos were previously criminals and that the indigo rings affect their minds, much like the red rings do on the other side of the spectrum, to imbue these criminals with compassion. In the face of this lesser surprise, however, Johns has a larger one -- that Hal's predecessor Abin Sur created the Indigos for the purpose of fighting the Third Army about to be created by the Guardians of the Universe to replace the Green Lanterns. Here, the artistry of Geoff Johns's almost decade-long run on Green Lantern is on full display. Johns has indeed teased the Indigos' origins for a while, made them a major part of the Blackest Night crossover even, but never told their full story until now -- and the "now" is not just coincidence, but because the Indigos tie into the Third Army, subject of the next Green Lantern crossover. What seemed like a minor origin finally told actually has much larger ramifications, and what seemed like just rudimentary vagueness is actually a deftly-told and well-planned story. To think that Johns had this, his seventy-something-ieth issue of Green Lantern, planned out since his twenty-fifth is considerably impressive. I did not like the last Green Lantern crossover, War of the Green Lanterns, all that much, finding it first predictable and too similar to crossovers past, and second, I felt a lot of hullabaloo was wasted on a story that didn't change the Green Lantern status quo. 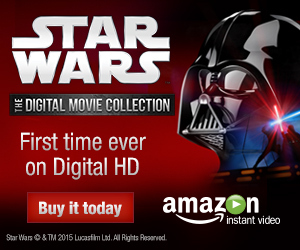 Jumping ahead, the final pages of the Revenge of the Black Hand collection include house ads for the "Rise of the Third Army" crossover and those promise that the Guardians will finally have their reckoning. What has bugged me about the last umpteen Green Lantern stories is that the Guardians always act in a morally-questionable manner, the Lanterns always feel uncomfortable about it, and nothing changes. If this is truly "the" Guardians story that Green Lantern has been leading up to, that's a good thing. In Green Lantern: Sinestro, Johns's banter between Hal and Sinestro came off old hat; we'd seen them bicker before, and Sinestro controlling Hal's ring didn't leave much room for their pre-Blackest Night dueling philosophies. In Revenge, Johns puts the two characters on more equal ground -- de-powers them both, even -- and Hal and Sinestro's tortured friendship is on full display. Hal has to rescue an Indigo-brainwashed Sinestro, even though Sinestro is more pleasant when mind-controlled, because Hal still on some level likes Sinestro despite their time as enemies. Sinestro still tries to rule through fear but -- perhaps due to the influence of the Indigo ring but more likely because of his partnership with Hal -- concedes in the conclusion of "Secrets of the Indigo Tribe" that fear isn't always the answer. On Hal's part, in order to free Sinestro, he must answer honestly whether he believes Sinestro can become a hero again. It is a taut moment, the best of the book, and Hal's "I want to believe it" speaks volumes. Despite Hal's hatred of Sinestro over many, many years, Hal still believes in the possibility of Sinestro's redemption. The sentiment is entirely honest and Johns has reached down to the core of these characters -- this, as in Green Lantern: Secret Origin (one of Johns's other best Green Lantern stories) is where Johns's Green Lantern series shines. 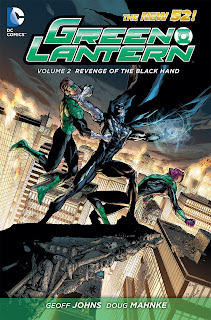 The second story, "Revenge of the Black Hand," is a happy tribute to Secret Origin, from characters to setting, and in the fact that the final part is drawn by Ethan Van Sciver -- and not Secret Origin's Ivan Reis -- there are echoes of Green Lantern: Rebirth here, too. Hal Jordan does not, of course, die in this story, but he seems to, and in this way "Revenge" seems to bring Hal's story full circle, from his beginnings in Secret Origin to the start of his latest adventures in Rebirth, to his "death" in Revenge. "Revenge" has Hal and Sinestro fighting Black Hand again in a Coast City cemetery, just as they did in one of their earliest adventures. Hal's father's death has underpinned the Green Lantern series from the beginning, and in Revenge's second-most taut moment, Black Hand nearly resurrects Hal's father (something that didn't even happen in Blackest Night) until Sinestro stops him. To foil Black Hand, Sinestro must destroy his yellow lantern, symbolically leaving behind his fear-bred Sinestro Corps; Hal and Sinestro, once sworn enemies, must charge their rings together to defeat Black Hand. All of this is singularly lovely, expertly bringing Hal and Sinestro's story full circle even if it's not necessarily clear why here and why now. Hal and Sinestro's stories, of course, are far from done, despite their apparent deaths here. It remains to be seen, again, whether Sinestro is actually reforming or whether it's simply the influence of the Indigo ring. Hal, over the past twelve issues, seems to have changed from a ring-hungry thrill-seeker to a more level-headed man ready to settle down with long-time girlfriend Carol Ferris. Twelve issues, however, aren’t quite enough to convince me that Hal has changed, especially since Hal's change has come largely on the basis of the Guardians taking away his ring. Hal is interesting, funny, and heroic, but over the course of Johns's series Hal has more often than not demonstrated the emotional maturity of a child. There are times I've wanted him to mature, but then again, that wouldn't quite be Hal Jordan. Johns has perhaps been too subtle about Hal's state of mind -- roundabouts Green Lantern: Brightest Day, there were vague intimations Hal's ring might itself be affecting his mind -- and so at times it's hard to tell if Johns wants us to trust Hal, not to trust Hal, or what. This isn't bad necessarily -- I don't mind that Johns keeps me guessing -- but I equally hope that the Guardians get theirs in "Rise of the Third Army" as I do that Johns finally addresses who Hal is and what he now wants. That this much can be wrung from Green Lantern: Revenge of the Black Hand is just another testament to the fact that Johns has Green Lantern working again with this one. The last time Green Lantern was this good was the series' Brightest Day tie-in volume, and that was just before it faltered with War of the Green Lanterns, so an auspicious start doesn't necessarily portend anything. Revenge is good, though, a reminder of why you've been reading Green Lantern in the first place. Welcome back and happy new year! Even as we begin dipping into the New 52 Vol. 2 volumes, we've still got some volume ones to finish. Be here next week for Supergirl Vol. 1: Last Daughter of Krypton. See you then! I think you really hit the nail on the entire GL fanbase about volume 2. I'm writing something similar for my review next week, because you hit all of the right buttons in this review, CE. BUT...I will warn you (and maybe even disappoint you), but as someone reading the single issues of Johns GL run, the "Rise of the Third Army" has been under played tremendously. It's mostly about new ringslinger Simon Baz coming to turns in being a GL in place of Hal and Sinestro. Most of the Third Army and Guardian material has been lackluster so far. The Third Army act is mostly a prelude for the following arc, "The First Lantern". This arc is when things are going to start getting out of hand from the Guardians. But...you'll get to that point whenever volume 3 comes out and see for yourself. When your review of Green Lantern Vol. 2 is up, Lionheart, send me a link to it; I'd like to read it. I guess if the Guardians' comeuppance is coming, I can wait a little bit longer (just hope it arrives before Johns departs the title! ).